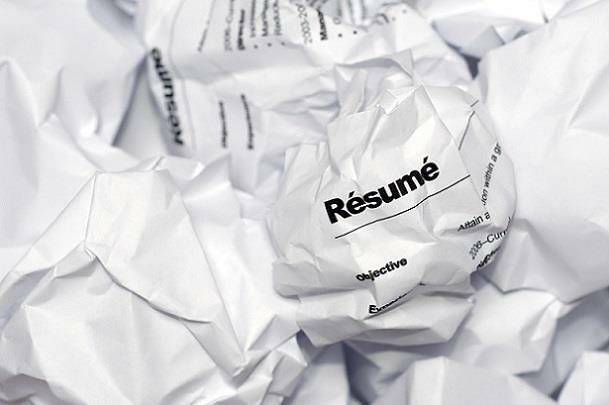 Although there are some general resume writing “rules," most professionals who write their own resumes are unaware of the best practices that can significantly improve their document’s impact and many job seekers make the same common mistakes. While it is important to ensure your resume has all of the right elements (a strong summary, key skills, achievements, etc. ), it is equally critical to examine your document for information that will work against you. Depending upon your writing ability, it may make sense to invest in a resume writing service. If you'd prefer to go the DIY route, read on to learn more about blunders you must avoid and what needs to be left off of your resume. Using font tools like bold, italics, and/or underline can be a great way to add style to your resume and lend weight to certain words or phrases. However, too much of a good thing can have the opposite impact. If you overuse bold, italics, or underlined text then everything will blend together or be too jarring to the reader’s eye and anything that you were hoping to highlight will end up getting lost. To avoid falling into this trap, follow the “ten percent rule,” which states that these font flourishes should not make up more than ten percent of a document. Another thing to keep in mind is that certain elements like italics and underlined text serve very specific functions in writing. For instance, if you are referring to titles of works such as books, magazines, movies, or paintings (among others), you must use italics or underline to signify these names (different style guides have varying requirements – if you have any doubt, consult the MLA Handbook or Chicago Manual of Style for advice). Additionally, keep an eye out for all caps. While this presentation technique works great for headings and section titles, it can be distracting (or seem aggressive) in other contexts because it is more commonly used to signify shouting. Acronyms and initialisms must be written in all caps, but when phrases, sentences, or whole paragraphs use only capital letters it can be off-putting for the reader. The purpose of a resume is to provide potential employers with details about your work history, the experience/qualifications you have to offer, and the results you’ve generated throughout your career. More importantly, the resume serves to convince the reader (whether they are an HR representative, hiring manager, or recruiter) that they should invite you in for an interview. These professionals will often spend only a few seconds scanning your resume before they decide to move onto the next applicant or give your materials a closer look, so you need to make sure that your resume is only filled with useful information. Facts about your personal background and family composition (e.g. your birthplace, gender, nationality, or the fact that you’re married with three children) have no place on the resume – they are not required and take up valuable space. 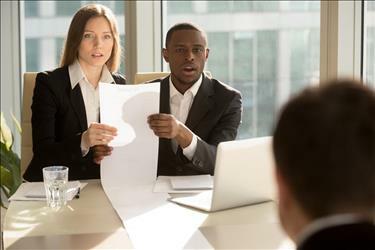 Furthermore, these types of details can open you up to discrimination or cause the reader to immediately discard your resume because they don’t want to risk being accused of misconduct or leave their organization vulnerable to possible litigation. Just as too many personal details may expose you to employment discrimination, including too much confidential information could leave you susceptible to identity theft, which could have negative effects far beyond your professional career and wreak havoc on your credit and finances. There is absolutely no reason to include a National Identification Number or Social Security Number on your resume. Most often, proof of identity is not required until far later in the hiring process (although the practice of asking for a Social Security Number on the initial application is unfortunately becoming more prevalent). Other specifics unfit for inclusion on the resume include driver’s license numbers and passport numbers. Even if you’re a long-haul truck driver or the position requires extensive international travel, wait until the employer requests that information before you provide it. Compared to the other mistakes mentioned throughout this piece, supplying too many ways for an employer to communicate with you is the least severe error. However, it’s important to remember that your resume should never create further questions or cause confusion in any way. The contact information you provide should be as straightforward as possible. Rather than including multiple email addresses, create a separate account that is dedicated to your job search and make it simple for a potential employer to correspond with you. Similarly, why make an HR representative, hiring manager, or recruiter call you at several different numbers if your cell phone is always the best way to reach you? Making it easier for them to contact you will only help your chances of moving to the next stage of the hiring process, which is the only reason your resume exists.